Since its inception in 1988,KVAR Technologies has been engaged in the design, development and manufacture of embedded / micro controller based products primarily for industrial applications. Having worked in this field for more than 25 years, we provide solutions for various control requirements in the process control industry. We manufacture electronic systems for automobile, industrial, medical, infrastructure and telecommunication applications. Our range of products is known for its sustainability to harsh industrial environments, low maintenance, accuracy and reliability. Apart from standard products we develop, design and manufacture custom built products. Over the past years our company has recognized itself as a dependable source for OEM requirements.We have a R&D Center as well as full-fledged production setup at Satara. Custom Built – OEMs like Maruti, Indian Railways, etc. Automobile applications - ECOS, SWC, Andon Displays at Ashok Leyland, Fiat, etc. 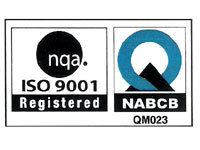 We are an ISO 9001 -2008 certified company for the last 8 years. It is our continuous commitment to customer satisfaction that guarantees superior quality at competitive pricing. To provide qualitative technological solutions to our Customers worldwide in a timely manner at competitive cost and to maintain a safe, healthy and enjoyable working environment for our employees. KVAR Technologies will be the first choice of OEMs and Industry for providing technological solutions that will exceed customer expectations in terms of quality, delivery and cost. To Provide innovative technological solutions through continuous customer interaction that will support our clients in ways to enhance their products and maintain a healthy enjoyable working environment for our employees. Testing is done on a non destructive way . Quality is the first priority at KVAR Technologies. We are committed to the international standards in our products. Strict quality checks are done at each level of production. As a ISO 9001-2008 certified company, we strive to maintain the worldwide quality standards set by ISO (International Standards Organisation). We recognise that commitment to quality is the key to customer satisfaction. AES will be the first choice of OEMs and industry for providing technological solutions that will exceed customer expectations in terms of Quality, Delivery and cost. This is our way of assuring our customers that we will keep up to your expectations of excellence.Our warranty program is a proof of our belief in the quality of our products. Our lean approach to manufacturing adopts a customer satisfaction focus.It involves continuous improvements to processes that lead to efficiencies throughout the system resulting in timely output at fair prices. Our sales and customer service representatives are constantly engaged with the customer in understanding their requirements and designing products to suit their needs.In co-ordiation with the production department they try keep the lead times as minimum as possible. Our extraordinary employees strive hard to deliver on our brand promise of "on time every time and at all the time." Each and every member of our team is committed to providing a satisfying experience to our customers. Our extensive industry experience,ethical business practices,superior quality hardware and software solutions,quality assuranc,timely deliveries backed by an advanced manufacturing unit and diligent workforce has ensured maximum customer satisfaction by fulfilling the exact requirements of our clients. To exceed customer expectations in terms of Quality,Delivery,and Cost through continuous innovation and improvement,customer interaction and maximize employee satisfaction by maintaining safe,healthy,and enjoyable work environment. KVAR Technologies Private Limited was incorporated on 19th April 2018.Prior to being incorporated as a company,the business was carried under the name Ajinkya Electronic Systems.KVAR Technologies owes its rich legacy to its original founders Shri Shirish Shah and shri Rajesh Doshi. Since its inception, KVAR Technologies Private Limited has been engaged in the design, development, and manufacture of embedded / microcontroller based products primarily for industrial applications. Having worked in this field for more than 25 years, we provide solutions for various control requirements in the process control industry. We manufacture electronic systems for automobile, industrial, medical, infrastructure and telecommunication application. Our range of products is known for sustainability to the harsh industrial environments, low maintenance, accuracy, and reliability. Apart from standard products we develop, design and manufacture built products. Over the past years, our company has recognized itself as a dependable source for OEM requirements.